When ROMOLD GmbH launched the first industrially produced plastic chambers onto the German market in 1992 it was no less than a minor revolution, as the former technology was literally cemented into people’s minds. 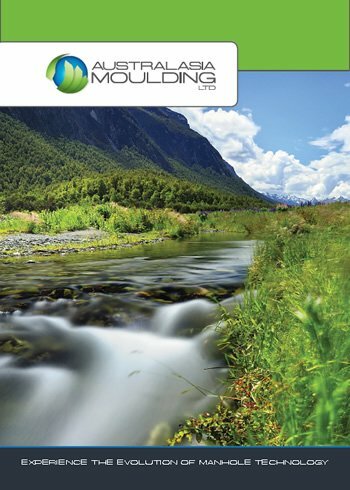 However, the benefits in practice were so great, that sales of this innovative product soon took off, making ROMOLD the European market leader for plastic chambers today. ROMOLD only concentrates on chambers and is the only supplier that has specialised exclusively in the plastic chamber segment. This has enabled them to develop a level of in-depth expertise that is second to none. ROMOLD’s products and services are innovative down to the last detail. 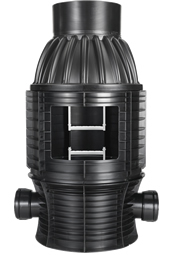 The ROMOLD DN1000 manhole chamber is a cleverly engineered solution for sewer and storm water applications. Every aspect of the product has been considered to provide intuitive function and outstanding long-term performance. Not only will this product offer superb performance, but it will help to streamline the installation process, meaning less delay on site and reductions in operating costs. 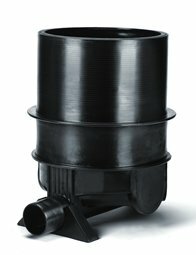 The ROMOLD DN625 maintenance chamber is a logical addition to a wastewater or storm water system. The smaller diameter allows for reduced costs whilst maintaining the same trouble-free function of the larger DN1000 manhole chamber. For more information on how this chamber can be used to improve the design of your system, please contact us.